There are a lot of investment strategies today that claim they can make just about anyone into a multi-millionaire. While some of these are at least partially truth based, many are basically scams. The sad truth of many investment theories is that the teachers of these programs are merely failed investors themselves who have only become millionaires by the million of folks who have purchased their plan on how to get rich. Not very impressive. Today, we are going to filter out the bull and look at a few solid plans that have worked and should continue to work over the next couple years. We asked four of the top investors in the areas of Index Funds, Real Estate, and Hedge Funds to offer up some of their best advice. To break open the first batch of investment opportunities, we go to Michael Edesess, investment insider and author of The Big Investment Lie: What Your Financial Advisor Doesn’t Want You to Know . Michaels’ book bursts the bubble of investment managers, showing where these so-called managers really make a killing in the marketplace is–from you. In other words, you are basically wasting your money if you are currently using an investment manager to help with your investments. The best overall investment strategies out there is to become an investment manager. “The best way to make money is to let people think that you are doing something really smart for them.” says Michael. It is quite simple to calculate the potential of an investment manager. The standard rate for an investment manager who recommends asset allocations, is about 1 percent of the clients money. This may not sound like much from an investors point of view, but if you take 1 percent of let’s say $3 million, they are making $30,000 on that deal. That is a pretty good investment from the point of view of the manager, but not so much for the investor. Michael’s book makes one thing very clear and that is most investments are purely luck based and there is nobody who can know what investments are good and which are bad without being clairvoyant. Some managers do get lucky and have winning streaks, but as in gambling, they will also have their share of losing streaks. So, what can we do if we can’t even count on professional help with our investments? Since investing is widely luck based, Michael recommends investing in small amounts using Index Funds. These will not give you the substantial gains that some of the riskier investments can, but they are safe, profitable, and something that anyone can take advantage of on their own. Where index funds have really gained popularity is with (RESP) Registered Education Savings Plans. You will not have to pay taxes on your profits for up to $4,000 a year, $42,000 total, and your chances of a significant loss are very small. Such returns can really add up over the course of the many years. Michael’s principles he follows for safe investing are diversification, low cost, low tax, and avoiding investment manager fees. “Every one of these principles will lead you to the same place,” says Michael. “Index Funds—They are low cost, low tax, masters of diversification, and you can do them yourself.” Of the various index funds available, Michael prefers Vanguard. “People don’t invest internationally as often as they should,” says Michael. Which is why he then invests the other half of his money in the Total International Index Fund, which includes merging markets. Real Estate is usually a big subject for many investors. Property and homes have always been a good investment strategy and they continue to be today. Property offers a good solid, tangible source of income. Whether you decide to buy, sell or rent is up to you. There are many different ways to get a property to cash flow to your advantage. The trickiest part of dealing with real estate deal is finding and purchasing a good specimen. One of today’s leading real estate investors and author of How To Sell Your Real Estate When Real Estate is Not Selling , Steve Hockman, shares some of his thoughts on the subject. Once again, we have another “dead weight” in the way of your investment potential, and this weight is known as a Realtor. Similar to Michael’s take on investment managers, Steve sees Realtor’s as being primarily interested in their own profit and are not always as helpful or needed as tradition has taught us. The keyword for successful real estate dealing according to Steve is FSBO, pronounced “fizbo”, and stands for “For Sale By Owner”. Steve recommends FSBO, because of its ultimate ease of negotiations and its money saving characteristics. When you are dealing with negotiations between a buyer and a seller, everybody wins. The buyer can get the property they want with no money down and no need to borrow money from the bank. The seller gets rid of their property, receives monthly payments and won’t get dinged by the government in taxes for the total payoff, since the income is only taxed as it comes in. With such incentive, it is easy to see how such an untraditional form of real estate purchasing can be used in a variety of situations. “Carrying the note” as it is called, used to be a fearful thought for a buyer, but today it can spell a healthy seven percent interest rate, zero percent of profit lost to a Realtor, low closing costs, and the property can be protected with a simple “Deed in Lieu of Foreclosure” that will ensure if a buyer ever misses a payment, the seller can get the property back without a court case. This all sounds so good, but there is one catch. It is going to take a lot of money to make money with this kind of investing. But there is one simple answer to this dilemma and it is known as OPM. Through the use of (OPM) Other Peoples Money, which refers to institutional, government, and investor loans, almost anyone can get in on this gold mine. “Even if you don’t have the money, you can still do this,” says Robert Shemin, Real Estate guru and author of How Come That Idiot’s Rich and I’m Not? . “Even today I won’t use my own money—I would rather use money partners and keep a big cash cushion for myself.” OPM has been the basis of creation for almost every millionaire in the world. “A relative, boss, friend—money is always looking for a good idea,” says Robert. 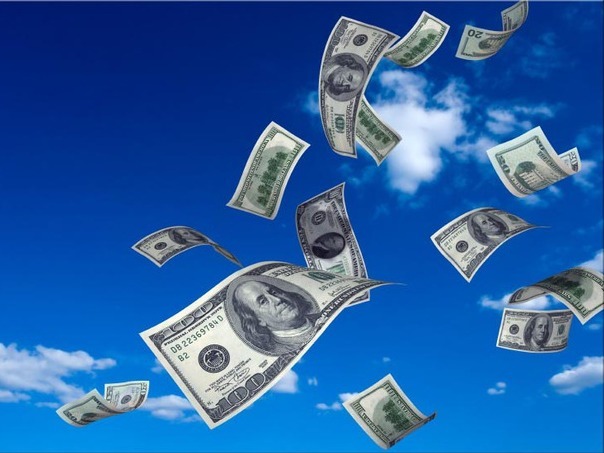 “Fortunately for us, there is more money than good ideas.” His rule of thumb is “50 percent is always better than zero.” So even though you may lose some of your profits going in on an investment with a partner, you are minimizing the use of your own cash and credit and keeping yourself from overextending. OPM simply means being able to invest more than you would otherwise be able to. 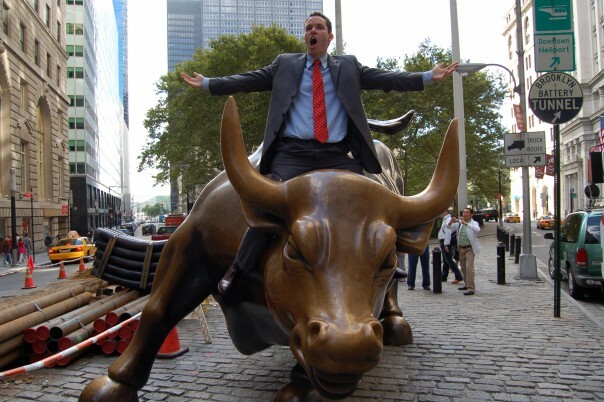 For some of you more risky types, we meet up with Timothy Sykes, the “Wall Street Warrior” and author of An American Hedge Fund: How I Made $2 Million as a Stock Operator & Created a Hedge Fund . Tim is living proof that you can take $12,415, invest it yourself, and turn it into $2 million. The best part about Tim’s theory, is that while he is sometimes dealing in risky stocks to maximize his gains, he plays them safely to minimizes his loses, such as putting in a “Stop Losses” that automatically sell him out if a stock drops more than 8 percent. “That way, no matter how wrong I am, I am never going to risk disaster,” says Tim. “So many people think that Hedge Funds are dangerous,” says Tim. “While some are definitely failing, it is a very small percentage—most are doing extraordinarily well, but you will never hear about it because the managers cannot talk to the press.” This is why when people hear about Hedge Funds it is usually through their failure rather than success. This is not to say that Hedge Funds are not without risk, but you can minimize this farther by investing in FOF’s (Funds of Funds). An FOF is like a mutual Fund in that they are grouped together into several different funds. This minimizes the risk of investing in just one and having it collapse. Something else to consider is that above Mutual Fund investments, FOF’s allow the investor to short sale and bet against the market which will come in handy with the drought the stock market has been in this year. Another big trend right now is investing in Green Energy. They key to riding these opportunities, according to Tim, is jumping on early during the gradual rise of the charts and then hopping off soon afterwards. “The trends are great until they break,” says Tim. “But you must have at least some faith in the charts to find the trends.” Reading charts is a very important part when deciding where recent investment trends are heading. Until you master this on your own, you can follow Tim’s advise through his blog at TimothySykes.com. You don’t always need somebody to tell you what to do with your money. You are the one man who cares most about your money and what happens to it, so who better to have in the driver’s seat.